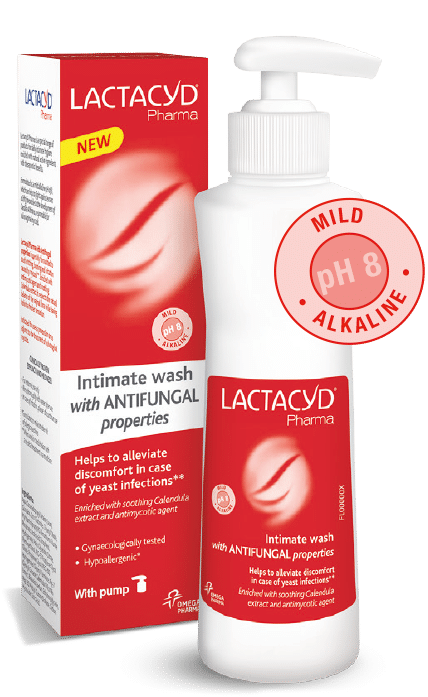 Lactacyd Pharma Soothing helps to relieve symptoms of vaginal discomfort such as irritation, itching, and redness. 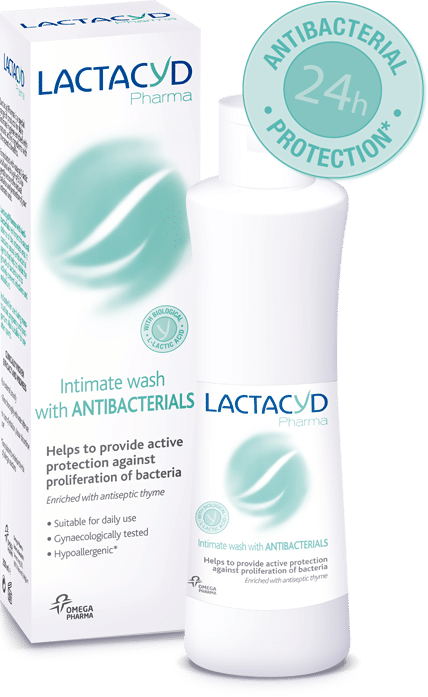 Enriched with blue daisy extract and bisabolol (known for their calming and anti-inflammatory properties), which flush the area of irritating discharge and soothe delicate or inflamed mucosa. Indicated for use as an adjunct in the treatment of vaginal infections. Flushes the area of irritating discharge and soothes inflamed skin. Source: In vivo – Use Test under gynecological cQontrol, September 2013, 30 subjects, Test institute Poland. Effects observed in 62 to 79 % of women – All having irritations, itching , burning or being in treatment for BV or CV.